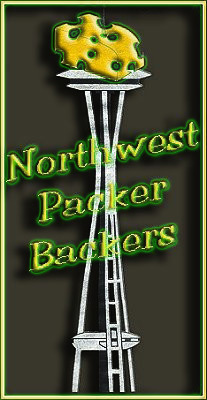 Hello Packer Fans and NWPB Club Members! The season is now over for our Packers and there has been plenty of Packers news today for the first time in years for us to digest. With Ted Thompson stepping down from GM to another role, the release of the DL and ILB coaches to the report of DC Capers not returning. This will be a very interesting and exciting off season for our Packers. I know you Packer fans feel the same way! The Club itself another great season with Sponsor signups and great donation to charity! We were able to donate $2000 to Christmas House, even though they were not able to join us for a presentation. They were committed to purchasing items for next year from the local stores that had a 75% discount. I was told by Christmas House that our donations help in their buying power which equated to retail value of $25,000. That is pretty amazing. Thank you all for your participation. We also held the big drawing this past Sunday after the game! It was a tough year for all of us Packers fans. Now it is time for the Packers and Aaron to rest and heal to get ready for the next season! Listed below are the drawing winners! Lambeau trip winner - Amy R.
2nd Prize - Joel F.
3rd Prize - John B. 4th Prize - Amy G.
Keep your eyes open for upcoming events such as the draft party and other off season events for the Northwest Packer Backers in the near future. There will be posts on our website as well as emails sent out! GO PACK!